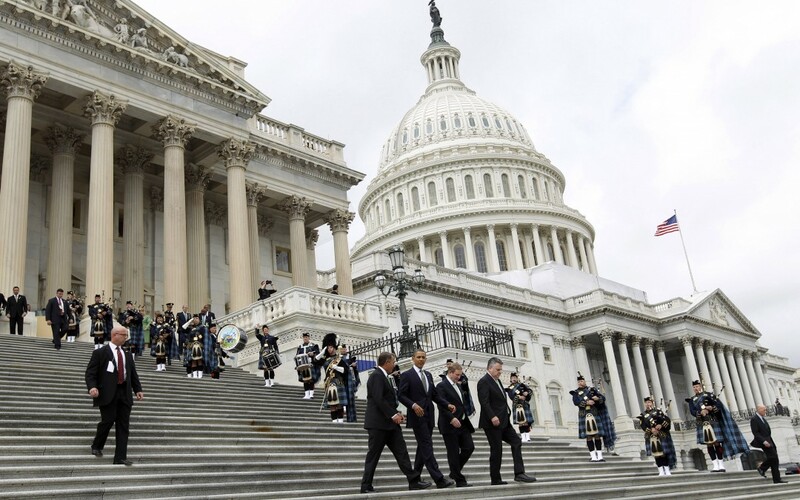 U.S. President Barack Obama and other politicians outside the U.S. Capitol building. REUTERS/Jose Luis Magana. VIENNA, Oct 23, 2012 – As the U.S. presidential campaign enters its final two weeks, the International Press Institute (IPI) today released a comprehensive report tracing the history of criminal libel in the country, where defamation remains criminalised in some 16 states and territories. Authored by A. Jay Wagner, a Ph.D. student at the Indiana University School of Journalism, and Anthony L. Fargo, an associate professor of journalism at the school and the director of its Center for International Media Law and Policy Studies, the report traces “the labyrinthine history of criminal libel in the United States, from its dubious origins in a British court to its peculiar contemporary status as a broad, perhaps redundant, and little-used law”. The study focused in particular on “the division of libel law and its application along two differing tracks: the ‘best men’ theory, in which libel charges are used to quell dissent and sustain power; and a public peace theory, in which criminal libel law is used to dispel agitation and argument among private citizens”. IPI last week issued a report on a Press Freedom Mission to four Caribbean countries in June in support of its efforts to end criminal defamation. The report cautiously welcomed progress in three countries toward the repeal of criminal defamation and insult laws, but urged political leaders to remain committed to reform. The group’s executive director, Alison Bethel McKenzie, also issued an open letter to those who will lead the United States in the White House and in Congress next year expressing disappointment at the lack of recent progress on measures to safeguard press freedom and urging them to support those measures.